Have you ever wanted to share the world with your students? 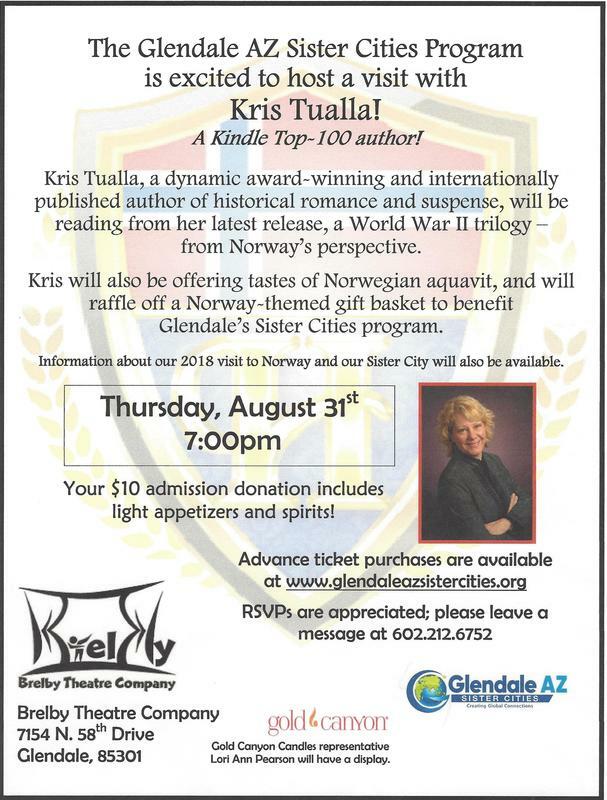 The Glendale AZ Sister Cities Organization would like to invite teachers to participate in an exchange program with Orland, Norway. Any teacher working in a Glendale school is eligible. Orland is a small community along the coast with three primary/elementary, middle and high schools. Classroom exchanges will take place during the 2018-19 school year. These exchanges may use any type of communication or may be a one-time project. Applications are due Friday, September 14, 2018, to Davita Solter, GlendaleAzSisterCities@gmail.com. For more information, email Davita or call 623-703-0922. 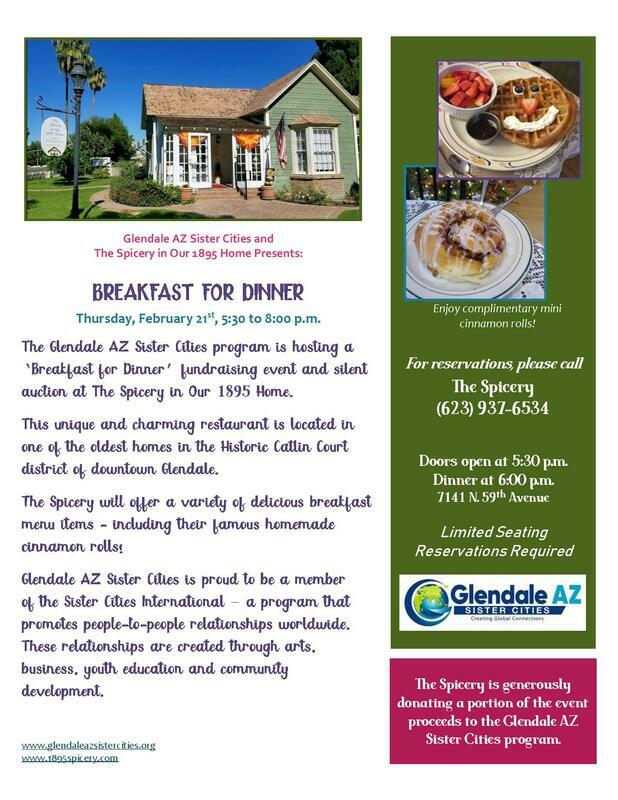 As you fill out your application (application below), please keep in mind that, unfortunately, there will be no funding by Glendale Arizona Sister Cities for your project. Doors open at 6:00 p.m. and Bingo starts at 6:30 p.m. It's $10 for 2 Bingo cards and 10 raffle tickets. Raffle drawings will take place throughout the evening. You can get additional Bingo cards for $5. There will also be $2 raffle tickets for a special prize basket. We will be accepting art supplies to donate to local schools for a special art project related to Sister Cities. Suggestions: Crayons, Washable colored markers, water colors and colored pencils. You could also urchase a little bit heavier stock paper that would be great for their pictures. You get extra raffle ticket for bringing in a donation. The public is invited to learn more about the Glendale AZ Sister Cities Organization at our quarterly membership meeting to be held on Monday, January 14, 2019 from 7 to 8:30 p.m. at the Glendale Elementary School District Office located at 7301 N. 58th Ave., in Downtown Glendale. The meeting is free to attend. 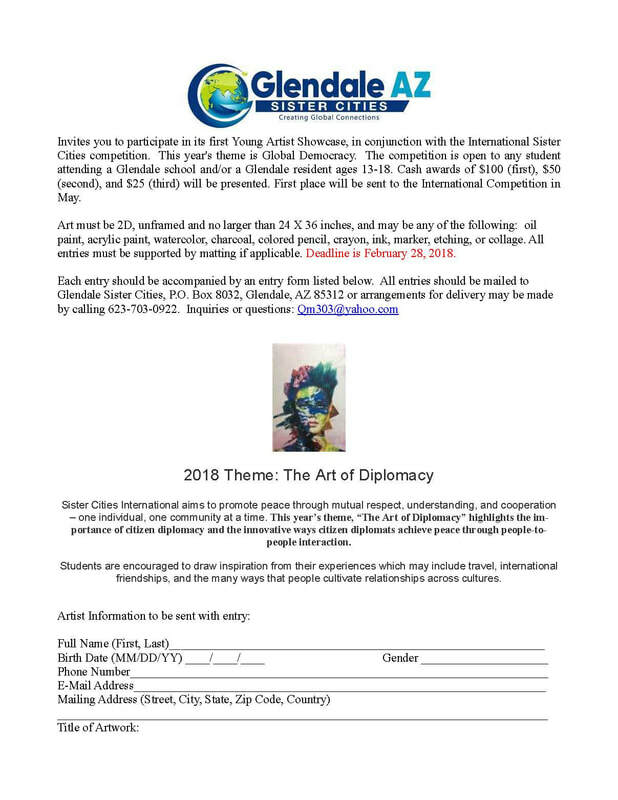 The meeting will provide information about the Glendale AZ Sister Cities program including becoming a member of the organization to help build a strong and vibrant program with an emphasis on international friendship and understanding, cultural and business exchange and youth education activities. The public is invited to learn more about the Glendale AZ Sister Cities Organization at our quarterly membership meeting to be held on Monday, April 30, 2018 from 7 to 8:30 p.m. at the Glendale Elementary School District Office located at 7301 N. 58th Ave., in Downtown Glendale. The meeting is free to attend. ​Our guest speaker is the Honorable Alex Boemark, Consulate of the Kingdom of Norway. The public is invited to learn more about the Glendale AZ Sister Cities Organization at our quarterly membership meeting to be held on Monday, October 17, 2017 from 7 to 8:30 p.m. at the Glendale Elementary School District Office located at 7301 N. 58th Ave., in Downtown Glendale. The meeting is free to attend. 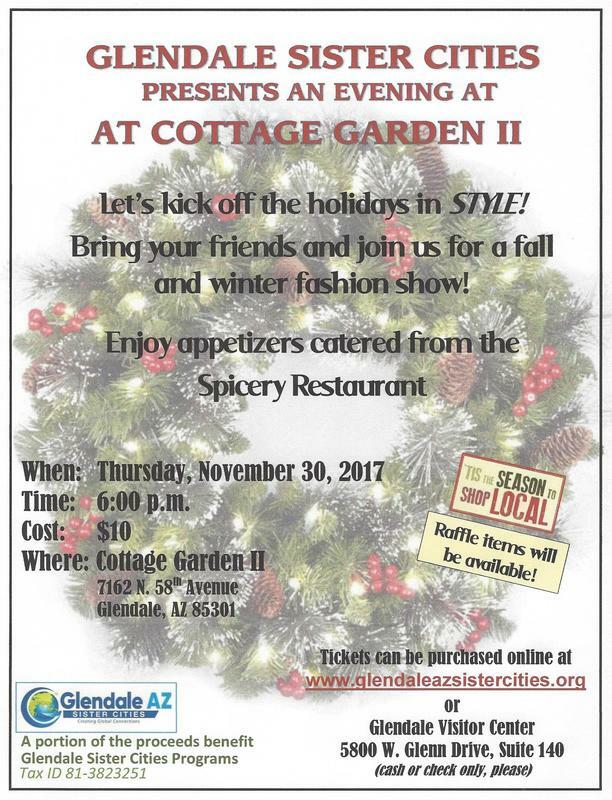 The meeting will provide information about the Glendale AZ Sister Cities program including becoming a charter member of the organization to help build a strong and vibrant program with an emphasis on international friendship and understanding, cultural and business exchange and youth education activities. Our guest speaker will discuss a Tour to Norway in Sept. 2018. The public is invited to learn more about the Glendale AZ Sister Cities Organization at our quarterly membership meeting to be held on Monday, July 17, 2017 from 7 to 8:30 p.m. at the Glendale Elementary School District Office located at 7301 N. 58th Ave., in Downtown Glendale. The meeting is free to attend.